We grew up in the 70’s and 80’s when women in our region were beginning to step out of their homes and create space for themselves in the public sphere. For the first time in history, women were becoming prime ministers, astronauts, and pilots; they were climbing Everest and winning gold medals in the Olympics. The achievements of the first wave of feminism and the struggle to gain rights as equal human beings and citizens, the right of suffrage and equal opportunities in education was a birthright to us. As we were schooling and grooming ourselves to become career women, the issues of sexuality, reproductive rights, women’s double burden and the sharing of household chores between the sexes, property rights, and political participation raised by second wave feminists were still being articulated by our predecessors, women activists and advocates of that time. By the time we entered the market ourselves, in the mid or late 90’s, most of these issues had also translated into binding international commitments for nations, legal rights, policies, and development agendas. We entered the professional world as development workers with specialization in ‘Gender’, committed to mainstreaming gender and promoting gender equality in every sphere. At times we feel that we have taken for granted the gains of the feminist movements before us that put women’s questions up front. The fact that women are now legally equal seems to have led to a pause in raising women specific issues. Today, after almost two decades of working as professionals, we want to reflect on our own experiences and those of other women in our region to see what it means to be a professional woman, the dilemmas and the enabling and hindering factors. Unlike our male siblings, in our early and mid-twenties, we had to choose between higher studies and marriage. While an advanced degree and a job were prerequisites for marriage for our brothers, for us education and employment were considered additional assets. Matrimonial columns in newspapers were full of advertisements that sought ‘beautiful, convent educated, loving, homely, caring, working, salaried, professional bride’ for their sons! Many women had to discontinue or halt their studies to get married. As working women with children and household responsibilities, we had two clear options; one, become superwomen, i.e., perfect homemakers as well as competent professionals; two, quit job. In reality, most of us were and are still trying to be the superwoman, and failing, we feel guilty and unsatisfied with our performance in both arenas. This brings us to rethink the old equation: given the increasing number of women in labour markets, shouldn’t men have been assigned an equal share of the household work by now? Weren’t we supposed to have moved away from traditional gender roles? It is often said that behind every successful man is a woman. Sometimes we wonder who is behind a successful professional woman. At this point in our lives as professional women of this region we have little doubt that it is almost always another woman (or women) who takes up a large share of the household and child care responsibilities of the working woman. These women are either stay-at-home mothers, mothers-in-law or sisters/sisters-in-law in the family, or ‘aayas’, ‘didis’ and ‘kaamwalo bai’, either non-paid or underpaid women who help balance the home and office work for us. Men have found the supplementary or co- earners in modern-day-working wives, but have women found co-household workers in the modern husbands? As women become more ambitious professionally, the challenge to maintain work-home balance becomes more difficult. Even after working hard to gain specialized skills and knowledge, many a time women have to choose between advanced professional growth and a sound family life. 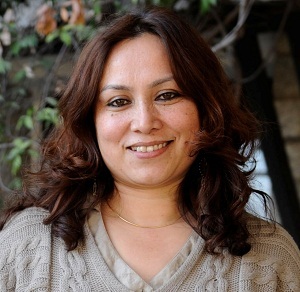 The big question is – why are women professionals still compelled to choose one over the other? Inequality persists. A successful career man can simultaneously be an ideal family man by fulfilling his role as a provider for the family. But for a woman, a successful career raises questions about her performance as a family woman, and she has to make an extra effort at home to prove that she is still devoted to her family. When are these inequalities going to end? Clearly, not anytime soon. For haven’t we spent decades advocating for equal division of household labour? How many of men’s magazines talk about ‘good housekeeping’ for men? When will the meaning of the word ‘fathering’ go beyond the mere act of spawning and include the rearing and caring of a child? It is assumed that men who do household chores are just ‘helping’, and seldom are they tormented for exhibiting poor skills. But no such concessions are made regarding women’s shortcomings, whether at home or at work. As we struggle to balance our professional and family life, we cannot help but wish for some change at our workplace. We wish for leadership positions that do not involve long hours in the office. We wish we would be rewarded for our creativity and achievements rather than for long hours spent at our desks. We wish we did not have to spend our weekends and evenings at work to be on a par with our male colleagues, who can afford to do so. Flexi timing can be used very effectively to help women and men achieve a work-life balance. Technology such as the Internet and video-conferencing can allow them to work from home. Those who have to be at the office regularly could benefit a lot from facilities such as daycare centres, pick-up and drop-off services (especially during after-office hours), provisions for a child caretaker during official travels, and compensatory leaves. And while we seek these temporary measures of relief, we feel that this unresolved equation must be brought to the surface again to see why it has not happened yet! And analyse what it takes to Make it Happen! 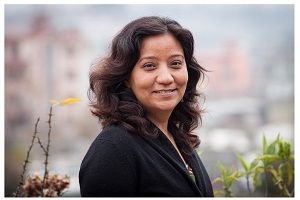 Karki (anita.karki@icimod.org) is Gender and Energy Development Analyst and Bisht (suman.bisht@icimod.org) is Programme Coordinator of the AdaptHimal Initiative at the International Centre for Integrated Mountain Development (ICIMOD) Nepal. The views and opinions expressed in this article are those of the author and do not necessarily reflect the official policy or position of the Dispatch News Desk. Assumptions made within the analysis are not reflective of the position of Dispatch News Desk.